Its been quite a while since I last posted my work on my blog. I have a new one to share with you all. Its for the superhero lovers. 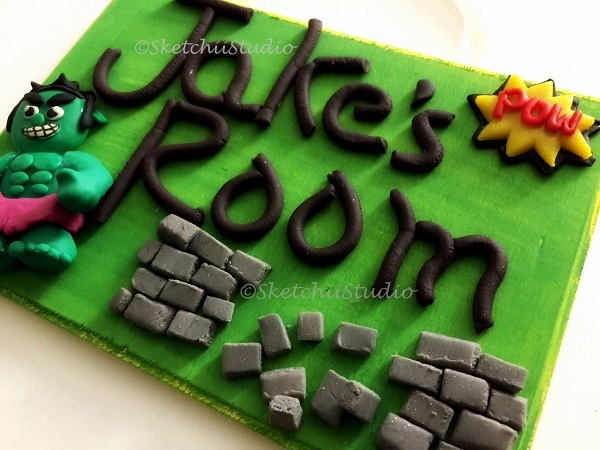 Personalized superhero inspired bedroom door plaque for boys or girls bedroom door.Theme HULK. Hulk, aside from being incredibly bulky, is also incredibly strong. Most people know him as the mean, green, fighting machine of Marvel. 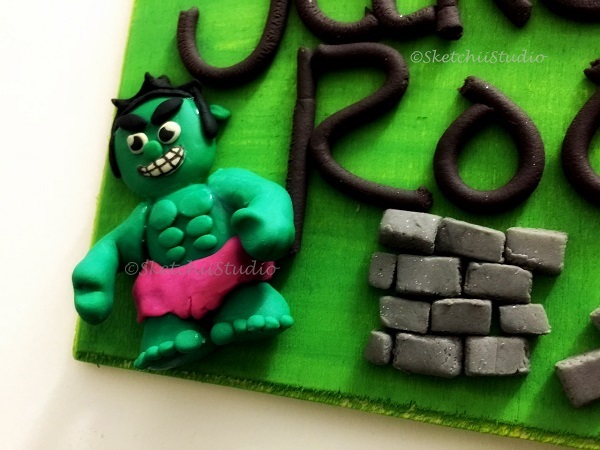 Kids will love celebrating their favorite superhero with the Avengers Hulk DoorSign. 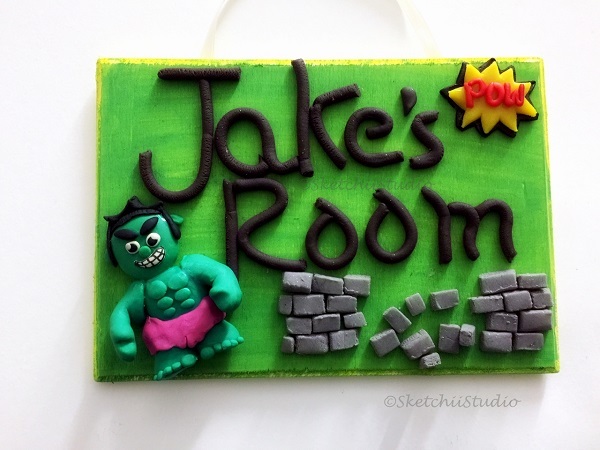 Designed in the green of the Hulk’s iconic anger, this funky Doorsign displays a miniature Clay doll of Hulk and the Name of child. It can be hung out side the child’s room or on the door.